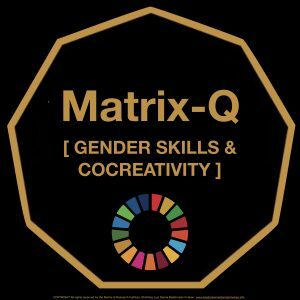 By adding family to the dual concept of life work balance, the Matrix-Q Research Institute creates a new approach for decision making, a new perception, for leaders and organizations. The purpose of adding family to life-work balance is of helping individuals become aware of the impact of their decisions into the family setting. Every decision made at work or in social life has a collateral or indirect impact into the life and well being of a family. Balance does not include only individual professional goals, leisure and lifestyle, as priority, but as well the well being and nurturing conditions necessary for the individuals’s family to develop, as the ground for the stability and happiness, purpose, and achievements of the individual. Family as a small cluster, when a couple has children, or extended family including grandparents and uncles’ families or a a regional or national clan, or the whole family tree (clans and clusters). Family has a wider meaning and its relevance and importance may vary from individual to individual. By answering the question on: how the decision i make today create a nurturing balance as well in my family, home? we add responsibility on decision making, as for individual choices, that would create balance and enhance effectiveness, also for the individual development, achievement of goals, life style and performance at work (organization, business).